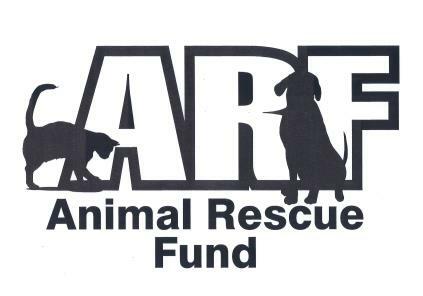 Animal Rescue Fund of South Carolina, a small, non-profit, no-kill animal shelter. On this page, you'll find a wealth of information about our shelter, our mission, our need for volunteers ... as well as helpful articles about pet care and just about everything to assist you in being a loving, responsible pet owner. Please take a few minutes to browse the links on the left-hand side of this page, and enjoy going to the different articles, many of which were written by Dr. Roger Ross of FoxNest Veterinary, who founded A.R.F. and which helps fund and support our shelter. A.R.F. is funded by donations, and most of the work at the shelter is provided by dedicated volunteers, with the assistance of the staff of FoxNest Veterinary. We also have a great support group who do various fund raisers throughout the year to provide more financial support for the shelter. 1. To save the lives of pets who have been abandoned to fend for themselves. 2. To make those pets in our care healthy, comfortable, and loved until we can find a responsible new home for them. 3. To encourage responsible pet care, including neutering, vaccinations, parasite control, and veterinary care. We have comfortable facilities for about 25 pets at a time and we try to place about 300 pets into new homes per year. When we take over the care of a needy pet, we clean them up, give them a name, treat their wounds and illnesses, test for heartworms, intestinal worms, and leukemia, vaccinate, treat for fleas, ticks, and ear mites. We also spay and neuter each pet. Then we love and feed them as best we can until we can find them a new home. Donate! Donate to our general fund, or become an ARF Angel and sponsor an adoption ... see our "Helping Us" page for details. Visit our shelter and consider adopting one of our pets. Volunteer your time and talent at the shelter. Help clean our kennels and cages. Socialize with the cats and kittens. Attend occasional events to publicize our efforts. Phone: 864-882-4488 This will get you to our veterinary clinic receptionist who will try to help you with general information, but may or may not know any details about the individual pets in our shelter. eMail: ARF@NCTV.com Please note: Everything at our shelter is done by volunteers, so it's not like we have a receptionist sitting at the phone or computer waiting to answer your calls and e-mails. However, your interest and support are important to us, so please be patient. By far the best way to find out about a pet in our shelter is to come in person. Directions: We are midway between the towns of Seneca and Clemson on Highway 123 (also known as Clemson Blvd) in the beautiful western corner of South Carolina. Use the links on this website to see the dogs and cats we currently have available for adoption. We update the site frequently, so visit often! and assist you with questions regarding A.R.F. Our shelter is closely associated with The FoxNest Veterinary Hospital which graciously shares or provides facilities, staff, and medical care. Learn all about our practice by visiting our hospital web site. This free veterinary information site contains hundreds of pages about the care of sick and injured pets. Other topics include poison information, wildlife rescue information, and an article about "What to Expect When You Go To The Vet," discussing different problems with your pet. $65 covers the cost of lab work, vaccinations and spay or neuter procedures prior to adoption. $25 helps buy cleaning products like paper towels, laundry soap, bleach, Odo-Ban, mop heads, etc., so we can keep our facility sparkling clean and our animals healthy. $50 covers purchase of cases of food, treats, bowls, cat litter, leashes, and other necessities. We are a 501(c)(3) non-profit, so all donations are fully tax deductible. As always, we're so grateful for your support of Animal Rescue Fund! !